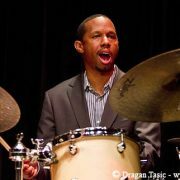 Drummer Willie Jones III was born and raised in Los Angeles in a very musical household; his father Willie Jones II was an accomplished jazz pianist. In addition to studying with Tootie Heath at CalArts, Jones is also a product of Billy Higgins’ WorldStage program in South Central neighborhood of Los Angeles. Jones has performed with the late Milt Jackson, Horace Silver, Arturo Sandoval, Roy Hargrove, Eric Reed and Cedar Walton. Jones was scheduled to perform on the 2014 Jazz Cruise with Walton who died about six months before it sailed. Benny Green was asked to fill his piano seat with Walton’s group, including Jones, bassist David Williams and saxophonist Dmitri Baevsky. 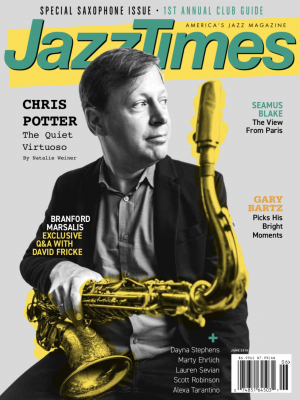 In this video interview recorded during the Cruise, Jones spoke with JazzTimes about Walton, as well as about his other teachers and mentors. He also discusses his record label WJ3 Records and his most recent recording, a tribute to Max Roach. For more information about Jones and his label, you can visit his website. You can see more of video interviews from The Jazz Cruise and other events at the JazzTimes YouTube channel.